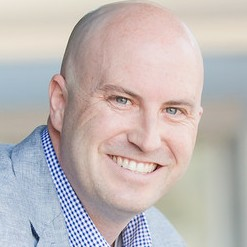 Jason Barger is committed to engaging the minds and hearts of people. He is a globally-celebrated Author / Keynote Speaker who has been featured in the New York Times, National Geographic Traveler, Kiplinger, Book TV, and many other spots worldwide. Beyond his books, Barger gives over 70 speeches worldwide each year and consults with organizations focused on leadership, culture, and clarity of mission, vision and values. His latest book "Thermostat Cultures" is resonating around the globe! Prior to sleeping in airports and observing human behavior, Barger led over 1700 people to construct 125 houses internationally for families living in poverty, as well as implemented the Streets Mission Project to serve the homeless on the streets of Columbus, Ohio. As the former Director of First Community Church’s Camp Akita, he designed programming focused on living with joy, love, compassion, faith, and service for over 1900 campers a summer. Today Jason and his wife, Amy, and their three children, Will, Benton and Brooke, live in Columbus, Ohio. Jason is a sought-after Keynote Speaker, visionary, and consultant. As founder of Step Back Leadership Consulting, he works with organizations that are passionate about Culture Change, Leadership Development, Innovation, Service, Social Responsibility, and bringing their Mission to life everyday. ABOUT HIS BOOKS: Jason's latest book, "Thermostat Cultures" is resonating around the globe. His book "ReMember: Renewing our Memberships, Relationships, Focus in a Distracting World," was released in 2013 and sold out within days on Amazon.The "Business Leader Edition," in collaboration with former President of Starbucks, Howard Behar, was released in September 2010. The "Healthcare Leader Edition," in collaboration with Dean of Dartmouth Medical School, Dr. Chip Souba, was released in 2011. In collaboration with Christian Long, Educational Consultant, the "Education Edition" was released in 2012. Speaking Client List: Nationwide Insurance, Ultimate Software, Wendy's, Deloitte, First Merchants Bank, Kiwanis International, Cardinal Health, Andersen Windows, Syracuse University, Entrepreneurs' Organization, SHRM, and many many more! Thermostat Cultures (2016) Thermostat Cultures is a must-read for anyone leading a group of any kind or for someone who desires to be a compelling participant on a high-performing team. Every human being on the planet is a part of a team of some kind. A team at work. A team at home. A team at school. A team at your church or the community organization that you’re passionate about. Or literally, a team that is competing together on some playing field somewhere. Why do some teams with similar talent levels succeed and others simply maintain? Why are some families more connected while others are pulling in opposite directions? Why do some teachers have thriving classrooms and others do not? Why do some companies expand with excitement and others limp along? CULTURE. The best leaders and groups of any kind engage the minds and hearts of their people and proactively shape the culture for HOW they move, together. Thermostat Cultures is about the proactive process the best leaders and teams lead in order to inspire and engage the people around them. What temperature will you set with the people in your life and career? Find out more about Jason Barger at http://www.jasonvbarger.com.